When we were in Palo Alto over the holidays, we were able to meet up with my friend Jon Wolfsthal and his family. Jon has recently relocated to the left coast after a lifetime on the other side of the country. Jon, who has his own Wikipedia page, is the Deputy Director at the James C. Martin Center for Nonproliferation Studies at the Monterey Institute for International Studies in Monterey, California. But Jon isn't the most internet famous of his family. 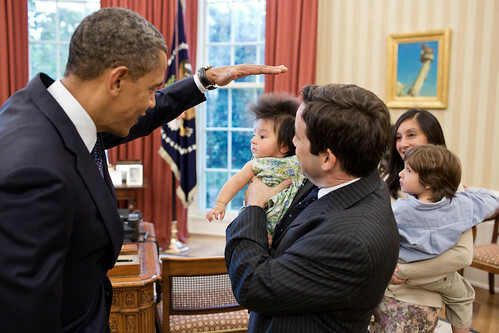 Jon's daughter, Katia was featured in the White House's Flickr feed, and her picture with President Obama has been collected in numerous internet memes of the President with cute/adorable/funny children. 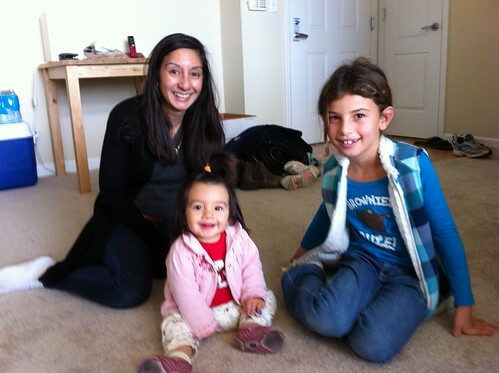 Here's our version of the photo featuring Melanie with Katia and her mom, Shanthi.